Come join us and listen to Beth McGlasson tell the remarkable story of, “Dr. 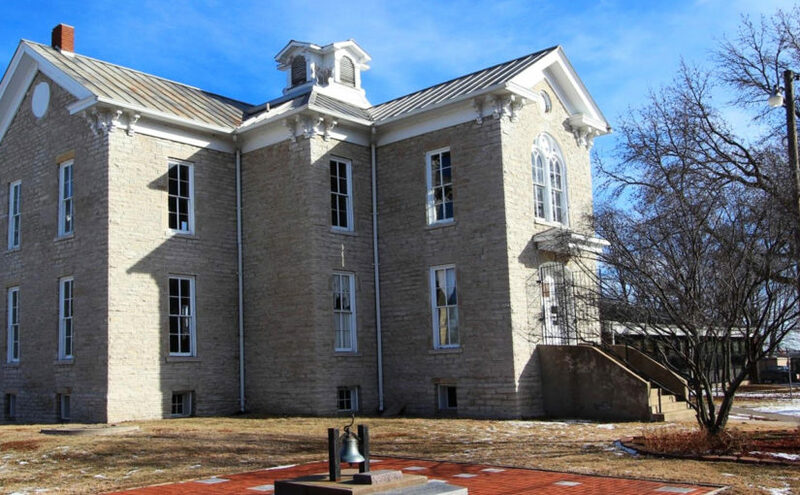 Silas Hamilton, His Freed Slave, George Washington, and the First Free School in Illinois,” Thursday, May 3, at 7:30 p.m., at Farley’s Music Hall, Elsah, Illinois. Beth McGlasson will tell us how this extraordinary event occurred in rural Jersey County, thirty years before the end of the Civil War and slavery and 120 years before Brown v. Board of Education, the decision by the U.S. Supreme Court that ended segregation in public schools. Beth is a local historian and Vice President of the Jersey County Historical Society. She and her husband, Dennis, have spent nearly a decade researching and documenting local cemeteries. She also co-wrote Lunch Pails & Pigtails: Jersey County’s One-room Schools and the Students Who Attended Them. Beth’s presentation will be the second of this year’s Hosmer-Williams Lectures sponsored by Historic Elsah Foundation and underwritten by Liberty Bank.